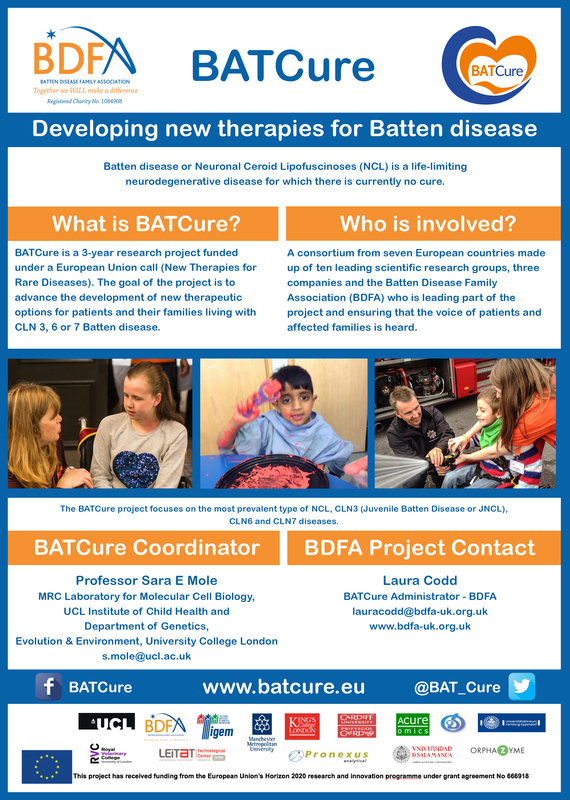 BATCure is a 3-year research project funded under a European Union call (New Therapies for Rare Diseases). The goal of the project is to advance the development of new therapeutic options for patients and their families living with CLN 3, 6 or 7 Batten disease. 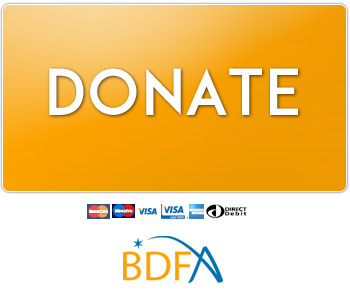 The BDFA is leading part of the project and ensuring that the voice of patients and affected families is heard. A consortium from seven European countries made up of ten leading scientific research groups, three companies and the Batten Disease Family Association (BDFA) who is leading part of the project and ensuring that the voice of patients and affected families is heard.